To enable Uganda pursue its voluntary mitigation targets of reducing national greenhouse gas emissions. Strengthen the Civil Aviation Authority (CAA) as well as promote Uganda’s image and credibility as a Centre of excellence in the aviation industry. Unpackage and transfer appropriate technologies to entrepreneurs across the sector. Avoid unnecessary risk to Government and to resolve foreseen implementation related issues. 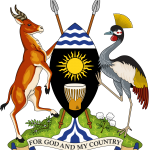 To increase private investment and enhance the dynamics of innovation processes in Uganda. Disburse funds directly to group accounts (from the Ministry Project Account in Bank of Uganda to Youth Interest Groups Accounts). Integrate the use of technology through developing ICT platforms for monitoring project implementation as well as Mobile Money for easing the repayment process especially for hard to reach areas. Promote local content reservation schemes for the youth in public procurement at local and National level.